The second largest city in Nevada, Henderson is located just 20 minutes from Las Vegas. The city is home to unique attractions, museums, shops and restaurants. Enjoy a scenic bike ride along the River Mountain Loop Trail, visit the Clark County Museum to learn about the history of the area, stroll through Henderson Bird Viewing Preserve, and see lions at the Lion Habitat Ranch. Spend a morning at the Lake Las Vegas Resort to relax with spa treatments, have lunch and enjoy scenic views of the stunning man-made lake. Here are the best things to do in Henderson, NV. The River Mountain Loop Trail is a 34-mile set of trails that link Henderson, Boulder City, the Hoover Dam, Lake Mead National Recreation Area, and other parts of the Las Vegas Valley. Part of the trail is paved for cyclists and hikers, and there are other areas that have a secondary trail for horseback riding. Completed in 2012, the project involved the cooperation and efforts of local, regional, and federal agencies as well as businesses. There are three trailheads in Henderson: the Equestrian Park Trailhead on Equestrian Drive, the Mountain Lake Park Trailhead on Golda Way, and the Silverman Connector Access Point. Located on South Boulder Highway, the Clark County Museum is devoted to the local history of Clark County, the southernmost county in Nevada. The museum’s collection includes objects related to Native Americans (such as the Paiutes), mining, and much more. The collection also features items related to gaming such as an 1898 Dewy slot machine, cars like a 1946 Plymouth Coupe and a 1959 Studebaker Lark, and railroads like a 1932 Boulder City train depot. Eight historic buildings make up the Anna Roberts Parks Exhibit Hall and the Heritage Street exhibit. There is also a recreated ghost town. The Lion Habitat Ranch, located at the corner of Bruner Avenue and Bermuda Road, is dedicated to housing lions and other animals. Founded 26 years ago, the ranch strives to educate the community about lions, and, at the same time, it supports an organization called Conservation International in Kenya. The ranch provides the best habitat for its own lions while helping to protect African lions in their own natural environment. There are nearly 50 lions, and visitors are able to see them. Many of the lions have been rescued from unhealthy situations. There is also a feeding program where guest can feed the lions as well as giraffes. 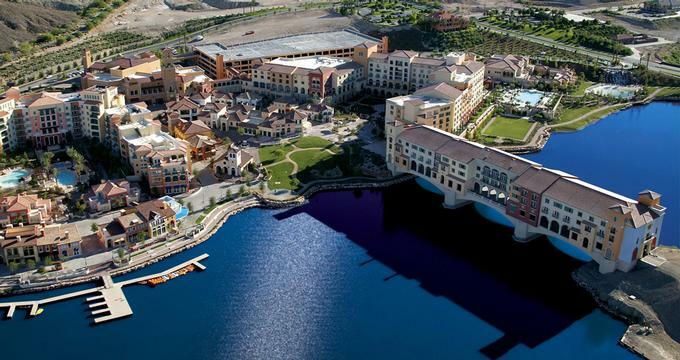 Visit the Lake Las Vegas Resort built around a 320-acre man-made scenic lake where you can have lunch and relax a the spa. The Lake Las Vegas Resort Spa consists of a team of experienced professionals who assist guests in relaxing and refreshing with the many treatments offered by the spa. Ravella Spa has a variety of facial treatments that use all natural ingredients, as well as several kinds of massage treatments. The spa also offers a hair and beauty area that provides services such as makeup treatments, manicures, pedicures, and other services. The fitness center includes a variety of cardio equipment, strength training equipment, a dry sauna, a eucalyptus steam room, and a whirlpool. Henderson Bird Viewing Preserve, located on East Galleria Drive at Moser Drive, is a 140-acre home of many desert birds as well as a temporary home for numerous migratory birds. 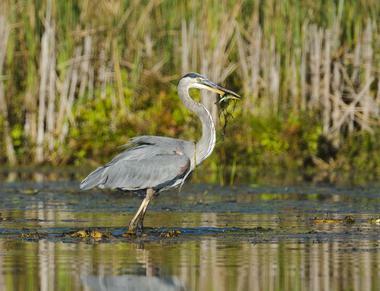 There are paths around the nine ponds of the preserve, and these make it easy for bird watchers to enjoy the area. It is suggested that visitors wear sturdy shoes and bring water, sunscreen, a hat, and binoculars. If you are wondering what to do in Henderson, NV with kids, this is a great place to visit. Visitors are asked not to feed the birds. Each season is special at the preserve; different kinds of birds and other wildlife can be seen at different times of the year. More vacation ideas: 20 Must-Try Lunch & Dinner Spots in Las Vegas. Located on Grand Hills Drive in the Seven Hills neighborhood of Henderson in Las Vegas Valley, the Rio Secco Gulf Club is a highly rated country club and golf course. Built in 1997 by golf course designer Rees Jones, the eighteen hole course is divided into three areas: six holes are located in a broad desert mountain range, six holes can be found on a plateau overlooking the city, and six holes are located in steep canyons. 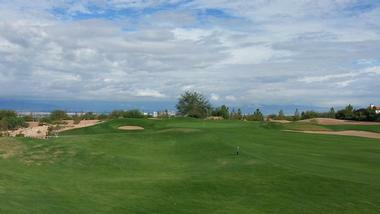 The Rio Secco Golf Club is also home to Butch Harmon, one of the best golf instructors in the world. The golf club also has a restaurant and bar, as well as a golf shop. Located on Windmill Parkway, Big Horn Wild West Tours offers tours to a variety of locations, including the Joshua Tree Forest, the Mohave Desert, and the Grand Canyon. The company uses Hummer H2 vehicles and limits its group sizes to between two and six people. Guests are picked up at their hotels and taken on the guided tours. 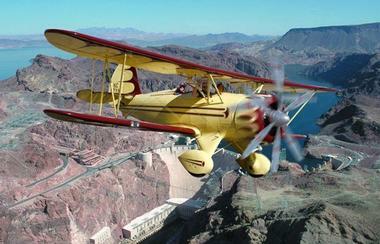 The Grand Canyon Tour is the company’s most popular tour. It lasts approximately ten hours and passes Lake Mead, the Hoover Dam, and the Joshua Tree Forest on the way to the Grand Canyon where guests can talk with members of the Hualapai Nation. Mustang Helicopters is a helicopter tour company that offers a variety of trips to the Grand Canyon. With over 19 years of experience, the company prides itself on its safety and quality service. The tour begins with a complimentary pick up and then continues with a narrated tour on an ECO-Star Helicopter. The four and a half hour Free Spirit Tour takes visitors over Lake Mead and Hoover Dam to the bottom of the Grand Canyon where champagne and snacks are served. Another tour offered by the company is the Grand Canyon Helicopter Ride Splendor, which is a wedding package complete with a private helicopter, minister, photographer, cake, and champagne. The first distillery in Nevada, the Las Vegas Distillery is located on Eastgate Road in Henderson. It is a family run artisan distillery with two pot stills for making spirits. The Las Vegas Distillery is a “grain to bottle” distillery, and it produces several kinds of spirits including bourbon, gin, moonshine, rum, vodka, and whiskey. Tours and tastings last about 50 minutes and are offered from Monday to Saturday, and on Sunday by appointment only. The distillery also hosts special events such as corporate meetings, workshops, birthday parties, weddings, and private tours and tastings. The Distillery Spirits & Gift Shop sells spirits as well as distillery-related gifts. Borracha Mexican Cantina is an upscale restaurant serving traditional and modern Mexican fare along with handcrafted cocktails and an extensive tequila menu. Located in the Green Valley Ranch in Henderson, Borracha is renowned of famed Day of the Dead décor and features a beautiful hand-painted floor, wraparound mural and decorative and festival skulls watching over diners. The menu is just as seductive with a variety of authentic Mexican-inspired dishes such as made-from-scratch tortillas, inventive burritos, and addictive tacos filled with slow-cooked short ribs, rotisserie chicken, and fresh Baja fish. The drinks menu boasts an abundance of cervezas, and tequila, as well as specialty cocktails to bring an extra vibe into the already vibrant space. Borracha Mexican Cantina is open for dinner every night of the week and lunch on Saturday and Sundays. Located on Village Walk Drive, the District at Green Valley Ranch is a mixed-use development with entertainment, hotels, office space, residences, restaurants, and shops. Green Valley Ranch Resort, Spa & Casino is a world-class resort with several restaurants, a casino, and a spa located in the midst of a beautiful landscape. There are many dining options at the District, ranging from grills and ice cream shops to elegant restaurants. Shops include home furnishings stores, clothing retailers, and many more. There are several events that take place at the district, including Stroller Strides workout programs, Safe Kids Clark County, Outdoor Picture Show with family friendly movies, and a weekly farmers market. Located in an unassuming mall in Henderson, you will find a small, intimate bistro-style restaurant that features soft, neutral colors. With quiet jazz playing in the background, the atmosphere is perfect for a great culinary experience, which you can always expect from Chef Todd Clore. If you are looking for romantic date ideas in Henderson, NV, this is a great place to try. The menu changes almost every day, and Chef Clore always uses the freshest, seasonal ingredients that are skillfully and artfully combined. Try lobster wrapped with sole and soaked in a delicious butter sauce. The genius is in its simplicity. The menu is rich in options, and there is something for everyone, with influences from every corner of the globe. The food is delicious and affordable, and with its excellent wines, it’s no secret why Todd’s Unique Dining is always full. As you leave Las Vegas and head in the direction of the Hoover Dam, you will come across the historic Railroad Pass Hotel and Casino. It is not the largest or most extravagant casino, but it is the longest running casino in the country. It also has the best buffet in the area, another excellent reason to stop by. The Box Car Buffet changes its menu every day, offering you specialties from countries like China, Mexico, Italy, and so many others. Dining here is like taking a train from country to country and stopping in each one for a bite to eat. 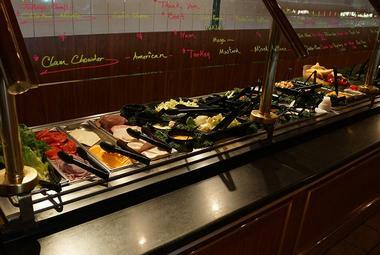 The buffet is all-you-can-eat, from the juicy steak and shrimp scampi to slow roasted Prime Rib. Located on Jet Stream Drive, Sky Combat Ace offers exciting flight experiences guided by trained fighter pilots. The company has complimentary shuttle service, and guests fly in an Extra 330. No experience is required, and guests can choose between a sightseeing flight, performing flight tricks, and even fighting friends in a mock aerial dogfight. There are several other options for flight experiences such as Operation Recon, Afterburner, or Top Gun. The company was founded in 2011 with just two aircrafts that offered sightseeing rides to guests. Experiences are available every day, and the hangar is full of interesting information for friends and family who choose not to fly. LYFE Kitchen hopes to change the way we see fast food. LYFE, which stands for Love Your Food Everyday, uses fresh ingredients from local farms, and they don’t use microwaves or fryers. They cook, sauté, roast, and steam their food, and every dish has a maximum of 600 calories. The menu has something for everyone, and there are plenty of vegetarian, vegan, and gluten-free options. They offer fresh sandwiches, wraps, tacos, soups, salads, and other tasty options. They do not sell sodas, but you can order various LYFE waters, fresh juice, smoothies, eight kinds of beers on tap, and several kinds of wine. The Henderson restaurant, one of many cropping up all over the country, is spacious, modern, and comfortable, and the hanging pots full of fresh herbs are a nice touch. LYFE Kitchen is a fast food restaurant, so you will get your food fast, and you can quickly get back to carrying out the rest of your daily tasks. 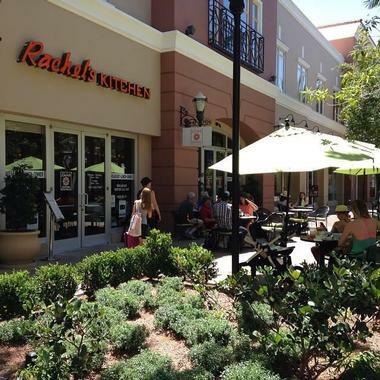 At Rachel's Kitchen, you can get fast, wholesome, and healthy food that is also delicious and will not cost a fortune.At Rachel’s Kitchen, the recipes are homey and simple, and the ingredients are as fresh as the season allows. You can have breakfast throughout the whole day, create your own omelet, or enjoy some fancy salads (peach and arugula, for example), great burritos and sandwiches, and of course burgers, with meat or vegetarian style. Their signature pasta is delicious and completely homemade. Located at the District Mall at Green Valley Ranch, King’s Fish House is the place to go when you crave seafood but are not sure exactly what to order. King’s Fish House has a bit of everything; if it swims in the water, they have it on the menu. They have Wild Columbia River King Salmon, Wild Maryland Soft Shell Crabs, and Wild Alaskan Halibut from all the world’s oceans, seas, lakes, and rivers. They also have sushi, ceviche, lobster rolls, oysters in any shape and form, many kinds of seafood soups, sandwiches, and pastas. This restaurant is all about seafood, and they do it great. Your only problem is making up your mind about what you want to eat. If you need ideas, try their Macadamia Nut Crusted Alaskan Halibut served with orange and ginger in a warm butter sauce. King’s Fish House also has a nice selection of draft beers and a decent wine list. Pick a table on the outside patio, which is inviting and pleasant. 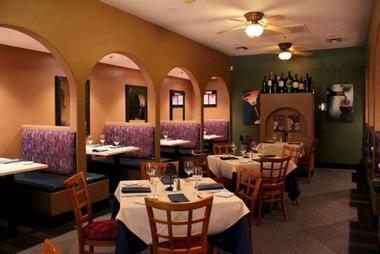 Pasta Shop Ristorante & Art Gallery will charm you even before you get the food. This gourmet Italian restaurant is bright and cheerful, with simple but comfortable furniture and plenty of original artwork on the walls. Owner and Executive Chef David Alenik used to be a personal chef to greats like Frank Sinatra and Steve Wynn, so it is quite an honor to know that he is cooking for you. 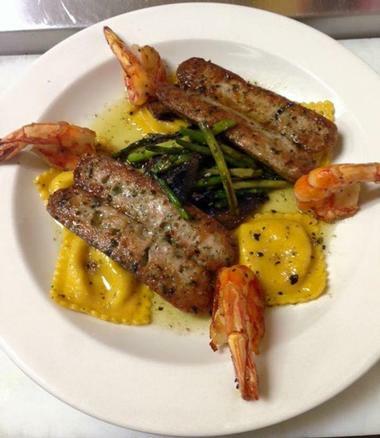 Chef David makes his own pasta and sells it to all the big hotels and restaurants in Vegas. He loves to combine his fine pasta with seafood and fresh vegetables for delicious, original dishes, but you will also find meatballs, sausages, chicken dishes, and many vegetarian options on the menu. Besides classic favorites like linguine with shrimp, you will find exciting delights such as Black Squid Pasta served with giant tiger shrimp in delicate cream saffron sauce. Pasta Shop has an excellent wine list that features wines mostly from Italy and California. Crafthaus Brewery, located on Eastgate Road, produces craft beers like Resinate, a West Coast India Pale Ale; Evocation, a Belgian-style ale; Jean Claude, a Belgian golden strong ale; Any Which Way, a white India Pale Ale; and many more. The brewery hosts many events such as Geeks Who Drink, Half Time Blitz, Bottle Share, and more. The brewery offers complimentary tours of the establishment on Sundays; tours begin in the taproom and visitors are given an in-depth look behind the scenes. The Taproom is open every day except Tuesday, and the brewery sells T-shirts, hats, and other items. 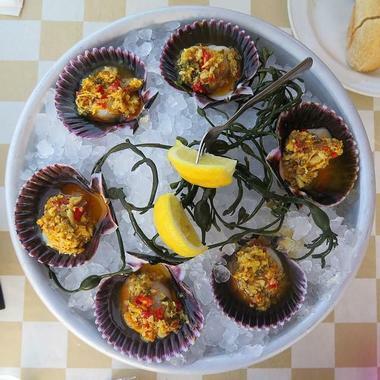 More weekend destinations: 23 Best Things to Do in Santa Barbara.